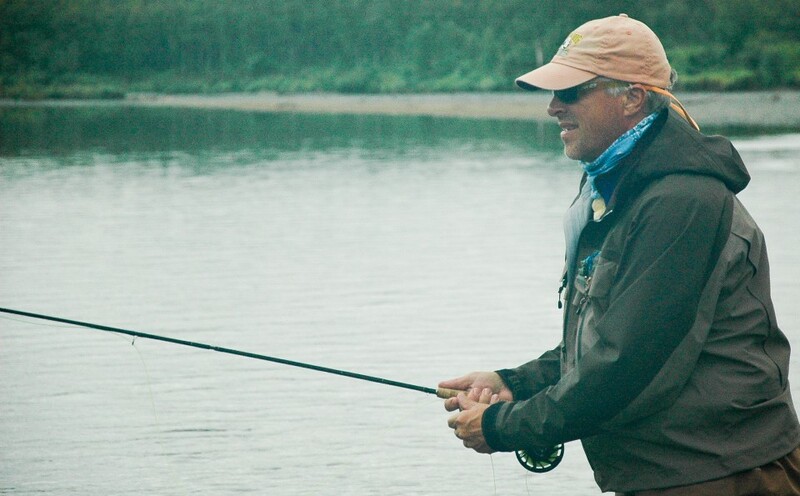 Dry fly-fishing for Char, and Searching for Rainbows, as 3 species of Salmon migrate up the Togiak River. We’d flown in to Togiak Lake under rare weather conditions. The Bristol Bay served up spectacular aviation weather that allowed us unlimited visibility. 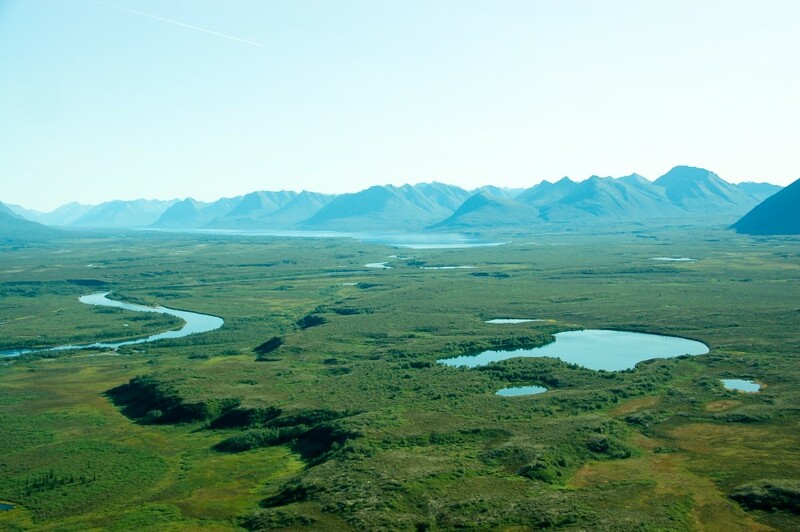 The mountains were spectacular and we checked off familiar landmarks, Aleknagik Lake, Sunshine Pass, No Lake Creek, the Ongivinuk River and then landed in Togiak Lake. 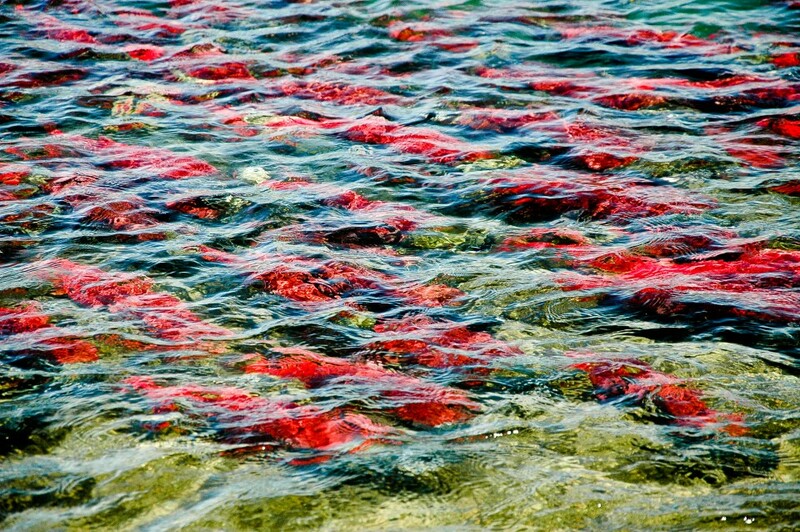 In front of us as we unloaded the floatplane was a scarlet school of sockeye salmon at the peak of their sexual maturity. The water looked like blood scattered on a mirror. 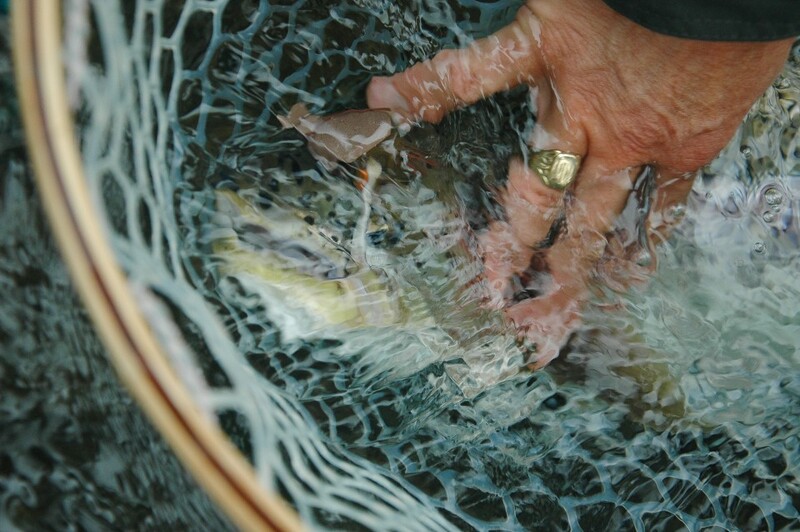 The fish were packed tightly together in a school as opposed to dispersed out in pairs. The salmon were just a few days away from the moment when they’ll push up the creeks to spawn and all the ensuing drama with the brown bears. 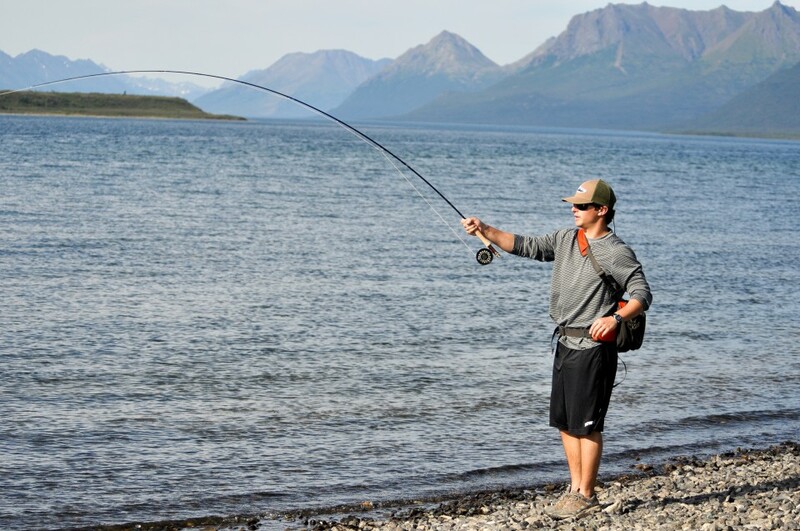 There is a method to the madness confronting an angler positioned in front of schools of pre spawn Sockeye salmon. 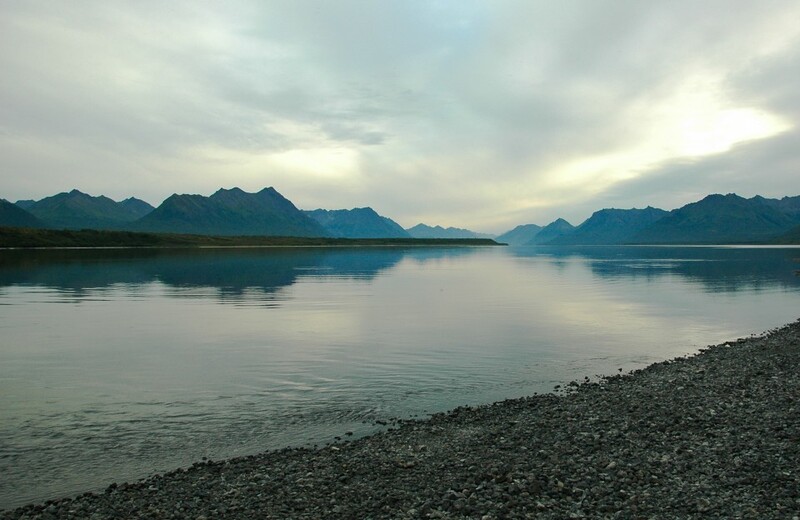 Cast off to the side and search for the large Arctic Char, Rainbows, and Dolly Varden Char that are staged nearby awaiting the annual feast of salmon eggs. We kept some Dolly Varden to fillet for dinner and an Arctic Char to cook into the pasta sauce. The whole camp setting on the lake seemed surreal. There was not a breath of wind or a biting insect. The kitchen was built at the water’s edge and we had fresh local produce from Dillingham’s gardens. The log mentions that screeching Arctic Terns dominated the sky even at midnight. Later the loons began to chorus. 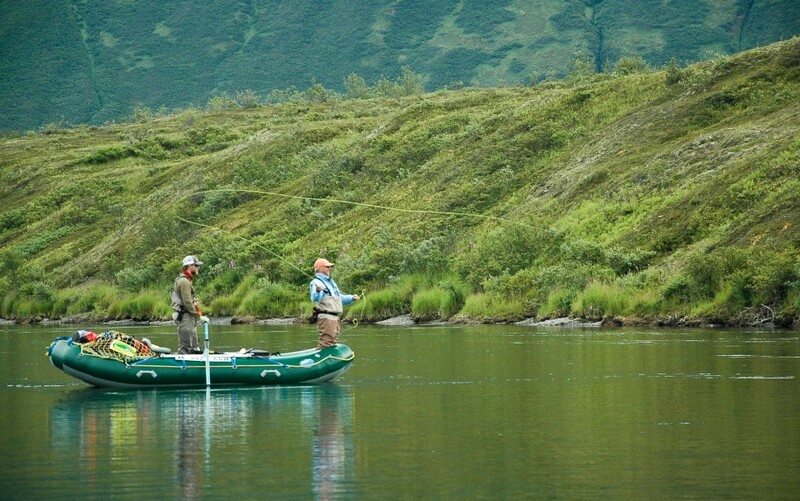 Notes from the fishing log mention that Pink Salmon were streaming past camp and were taken on streamers and nymphs. Grayling were in the soft water below camp, Char were across the lake. To fill out the lake experience a group of anglers explored the back bays for Northern Pike and they were sighted but none were taken. Downriver in a cycle of drifting and casting, drifting and casting we worked streamers and trout beads for a mixed bag of Dolly Varden, Arctic Char, Sockeye, Grayling and Pink Salmon. Francie retained a dime bright Sockeye for our dinner. 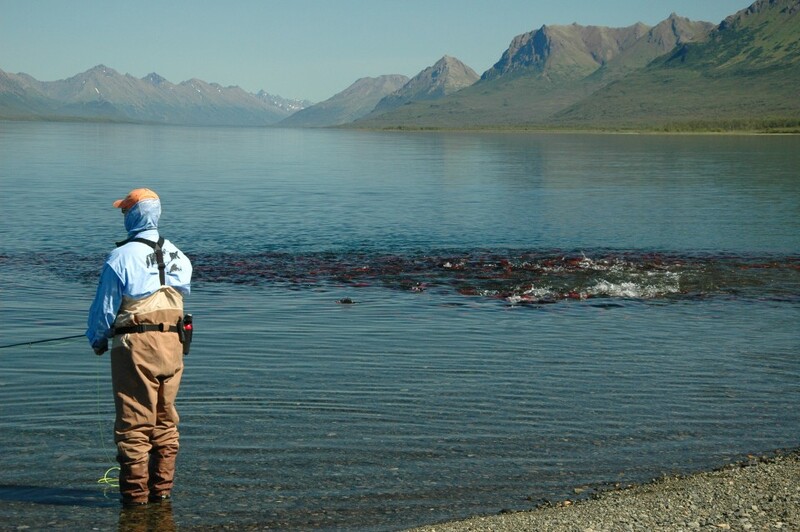 2014 water levels across the Bristol Bay rivers were at historic lows and as we floated we wondered how the Togiak would fish and if the runs of salmon & char would be robust enough for good fly fishing action? We needn’t have worried. Misting rain at our second camp. Arrayed in the river in an uneven triangle of holding water were the first upstream vanguard of the Togiak’s run of Dolly Varden Char. They were not “thick as thieves” but Francie worked out the cast and took a good number of fish. From the log of August 1, 2014. I challenged the group to try to quantify the vast number of salmon we’d spotted in the first 2 days of travel. According to their estimates “we’d seen 9,815 salmon so far”. 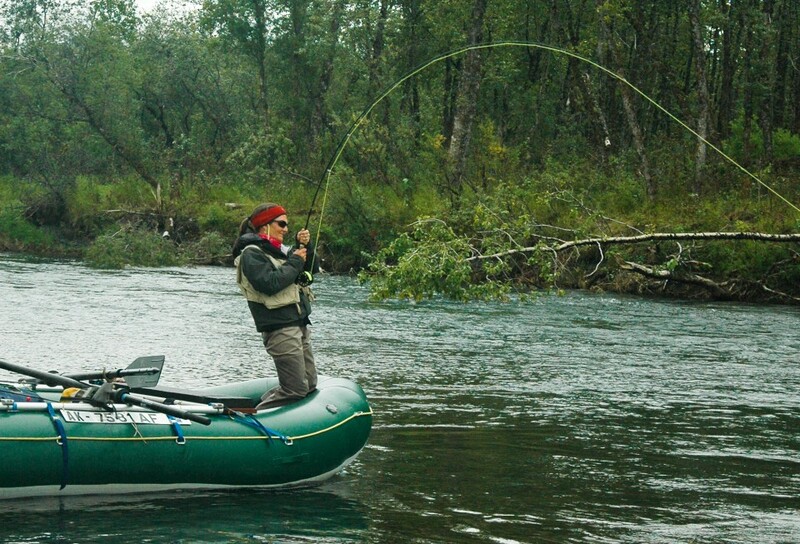 We’d travelled through the upper river for two days casting steadily with the streamers or alternating with trout beads. We were taking fish while gazing at the landscape considering the forces the river has applied to cut through the massive glacial moraines left when the last ice receded. 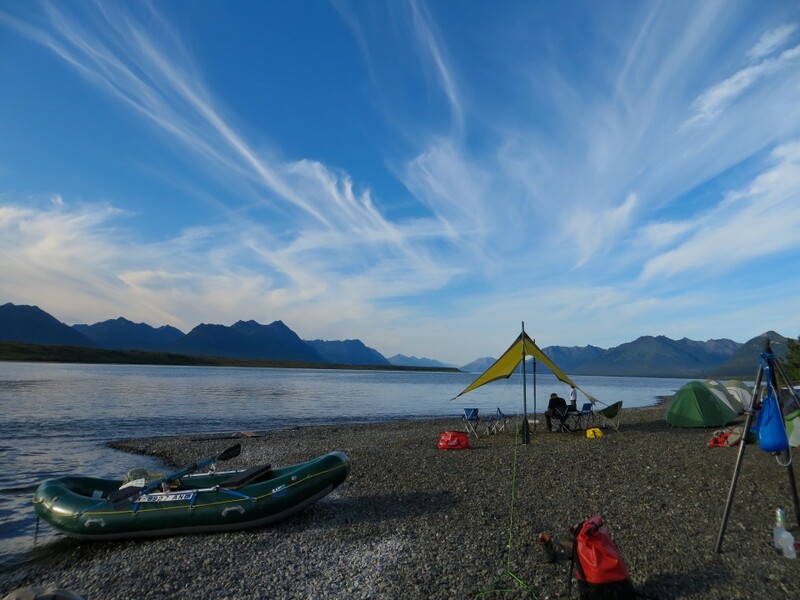 We camped the third night downstream beneath a long curving outside bend of the river. This bluff curved like a huge mastodon tusk. Atop the bluff, 30 feet above us was the bottom of ancient Lake Togiak, the Pleistocene precursor of Togiak Lake. All the pebbles and stones above us on the bluff were water rounded and had been moved either by a river under the ice or deposited by water after the ice retreated. The slice of geology that we saw as the bluff represents very recent cutting of the river. The forces that have shaped the present river are only a few thousand years old much younger than the Sandhill Cranes nesting in the valley and dancing on the gravel bars. Natural forces happen in real time on this river and we heard gravity displace pebbles down the bluff, saw the Bank Swallows feed their young, and watched the living ribbon of salmon move up the channel. 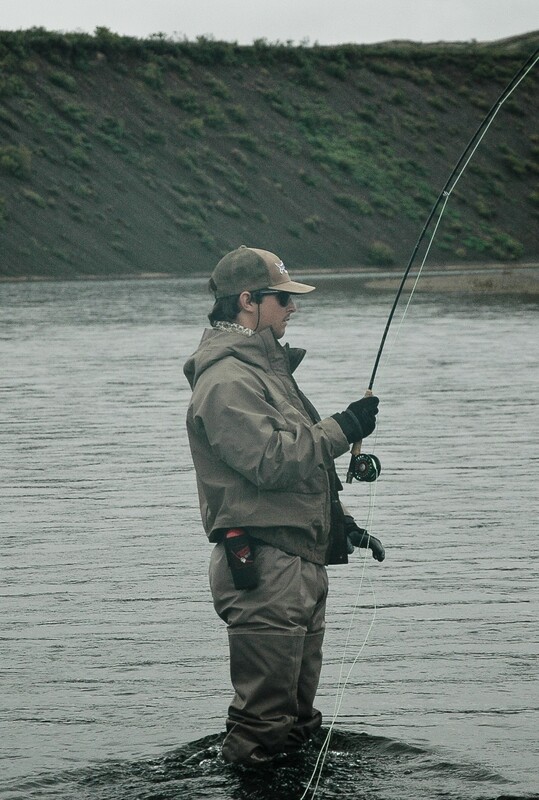 After breakfast we rigged up with experimental dry fly patterns. 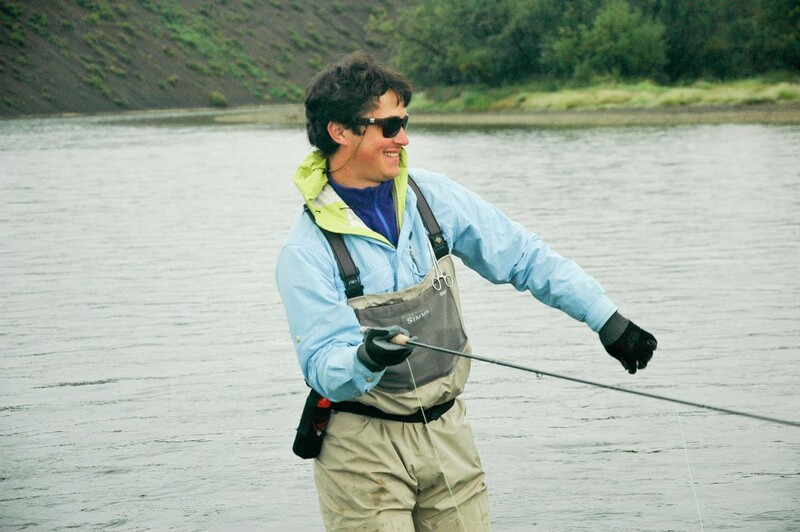 We threw the dries above Dolly Varden Char and “skated” the flies in yard long mends with the rod tip. The results were very much like the results of throwing a pink Polly Wog to a group of Coho resting in shallow water. V wakes formed behind the flies. The Dollies turned on the fly and then ran like mad in the shallows. The Ashforth family took turns hooking Char on the surface on our most successful Dolly Varden dry fly pattern yet. 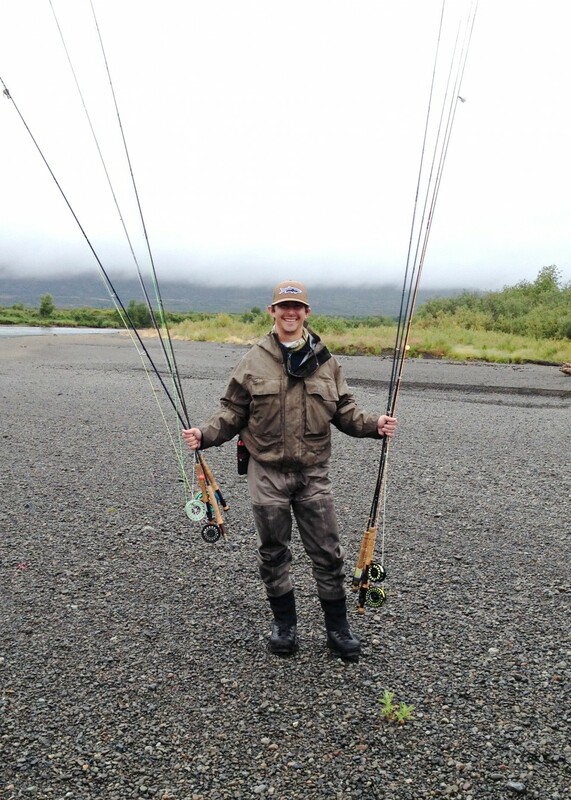 From the log of August 2, 2014: “ Francie, an accomplished angler, took the largest Rainbow of her life on a mouse pattern!” Most of us were fishing streamers thrown deep into woody debris, or throwing dry flies for Char but Francie who marches to the beat of a different drummer, determined to throw mice and throw mice she did as the long morning gave way to midday. I happened to be ahead of her rowing with Gardi and we’d had a great morning with the new waking char flies then switched to streamers. A commotion from Francie’s raft caught our attention and we pulled over to the shore and walked back upriver to see what was going on. What was going on was an epic battle with perhaps the largest Rainbow of the 2014 season. She was locked in an eternally long stalemate between a fish repeatedly driving toward sweepers and tangled root wads while she applied all the pressure that her rod could stand. She knew it was a Rainbow. She’d seen the fish rise up and eat the mouse. 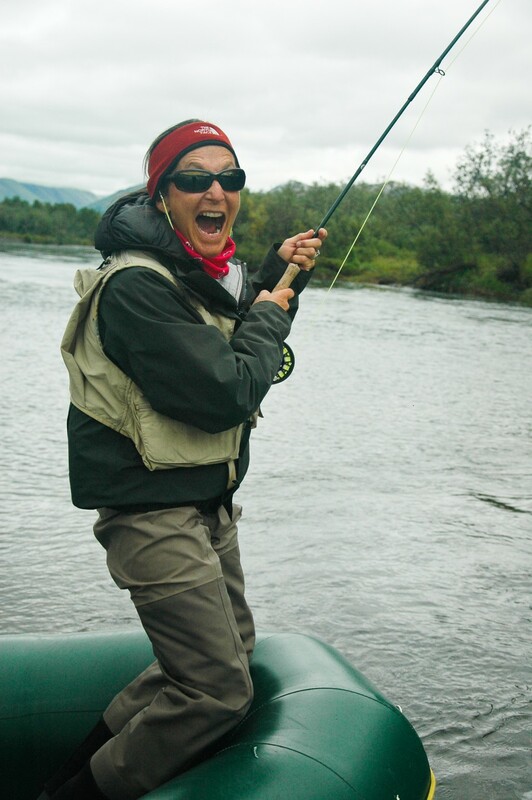 She knew within moments that this fish was why she’d come all this way to Alaska. It was wonderful for all of us to share her triumph and the day had a new dimension as we basked in happiness. From the log. Downriver we climbed a tall bluff and walked a bear trail worn deep in the tundra. 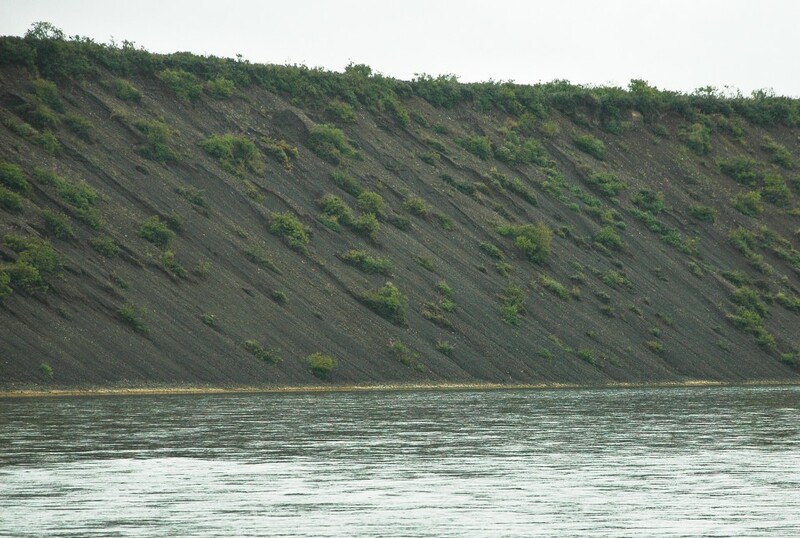 The bluff curved around a bend and is the largest one of its type on the Togiak. Its silhouette is a grand flourish of geographic calligraphy, the way it sweeps across the sky. We stood there for a long time in the afternoon sun letting views across the landscape fill us up. Then we took some photographs and rafted down river to a nice bar on which to camp. Inspired by Francie, Hank fished a mouse the following morning. Nothing in the river wanted that mouse. Hours passed. He moused in jumbled log infested channels and banged the bank grasshopper style. Then he tied on a pale pink and white flesh fly and took 4 Rainbows in succession before lunch. What do you make of such a thing? Was it because the sun was brighter today compared with more overcast when Francie was mousing yesterday? We ended our trip camped on an unimposing gravel bar. We’d meant to go downstream a bit farther but were waylaid by the fishing. Hank and I were fishing dry flies for Char again. Everyone was hooking up. We laughed and laughed into the afternoon and ended up staying the night.